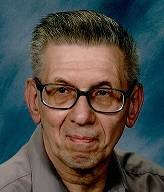 Frank J Jurczyk, age 76, passed away peacefully after a long battle with cancer on December 30, 2016. He is survived by his long time loving friend Lidia Stojka, and cousins Adrienne(Robert) Malecki and John Bachowski. Frank worked for the USPS for 30 yrs and was retired from the Dearborn Branch.